British actress Gemma Arterton made a splash in 2013’s Hansel & Gretel: Witch Hunters, opposite Jeremy Renner. 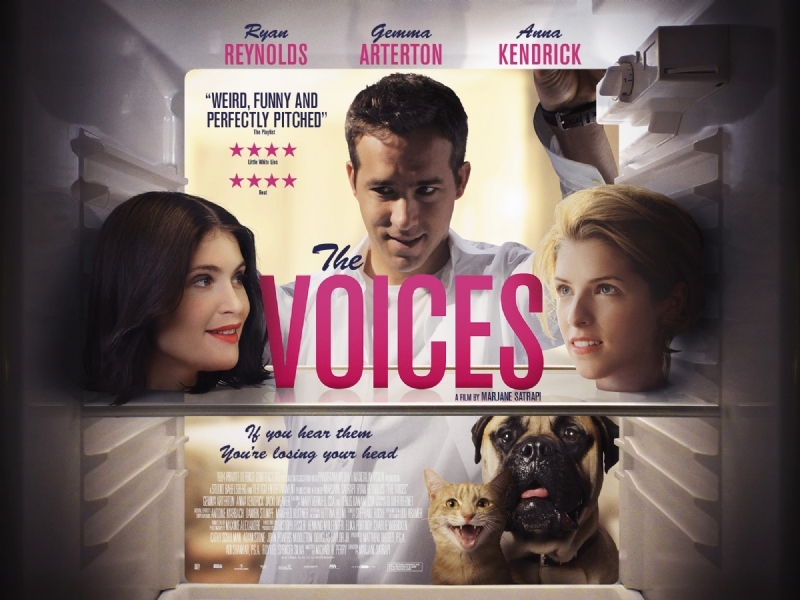 Now she’s back with a film called The Voices, also starring Ryan Reynolds, which is an absurd, dark comedy you won’t want to miss. The Voices is the story of Jerry (Ryan Reynolds), who goes off his meds and gets coerced into doing terrible things by his manipulative talking cat, Mr. Whiskers. We don’t want to give too much away, but if there’s ever been a laugh-out-loud comedy about a serial killer, this is it. Gemma Arterton plays Fiona, one of Jerry’s coworkers, who meets a tragic fate at the hands of the seemingly sweet Jerry. For Arterton, the best comedy comes out of the darkest places. It’s hard to speak about The Voices without ruining it for everyone. All you really need to know about the indie black comedy — in theaters and on demand now — is that it stars Ryan Reynolds, Anna Kendrick, and Gemma Arterton; was directed by Marjane Satrapi of Persepolis fame; and will no doubt make you squeal with laughter and shriek in horror, probably at the same time. Arterton — the British beauty best known for playing Bond Girl Strawberry Fields in Quantum of Solace — provides much of the film’s comic relief as Fiona, the foxy office accountant that Reynolds’ loner Jerry can’t resist. When she’s not dodging dates with Jerry, the British bombshell is leading conga lines and doing what just about any of us would kill to do: sing karaoke with Anna Kendrick. Arterton spoke to us about that scene, why Reynolds is a sweetheart, and why she thinks Idris Elba would make an excellent Bond. There’s a scene in which you and Anna Kendrick sing karaoke. What was it like singing beside Ms. Pitch Perfect? When considering a film, some actors might steer clear of a character that dies in the first few pages of a script. But not Gemma Arterton. When she read the script for the Marjane Satrapi directed flick, The Voices, she was eager to play Fiona, a woman who is decapitated in movie’s first moments. 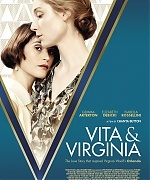 “I was really looking for something different,” the actor says of the film’s unconventional plot. A new UK promotional poster for The Voices has just been released (thanks to Empire) and it has been added to the gallery. Ryan Reynolds, Gemma Arterton, Anna Kendrick and Ella Smith perform Sing A Happy Song from the motion picture The Voices. A woman who’s not satisfied with only one man and who doesn’t accept to stay a step back: that’s the protagonist of a mytical novel, and of the film that it inspired. But that’s also Miss Arterton, who lends her her body (and what a body!). Hollywood sexists, stay away!